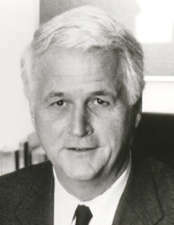 AKA William D. Delahunt, Jr.
Massachusetts state legislator and local district attorney elected to US Congress in 1996, succeeding Gerry Studds, who did not run for re-election. Progressive Democrat; generally pro-abortion rights, pro-gay rights. Back-bencher with no significant legislative accomplishments. Supported 2001 USA PATRIOT Act, 2009 economic stimulus, 2010 health care reform; opposed 1998-99 Clinton impeachment, 2002 Iraq War resolution, 2008 Wall Street bailout. Did not seek re-election in 2010, and succeeded in Congress by William R. Keating. Applied to open three medical marijuana dispensaries in 2013.